The photinus solar lights draw on more than 10 years of experience in both development and production. Each individual light has undergone ist own development process over many years and is impressive richt down to the last detail with high quality. In sales and marketing, we focus on high quality and work together with our capable partners and consultants in select countries. Every project has its realities and requirements which must be taken into account, in particular in the installation of solar lights. Advisory service to our customers is therefore very important to us. 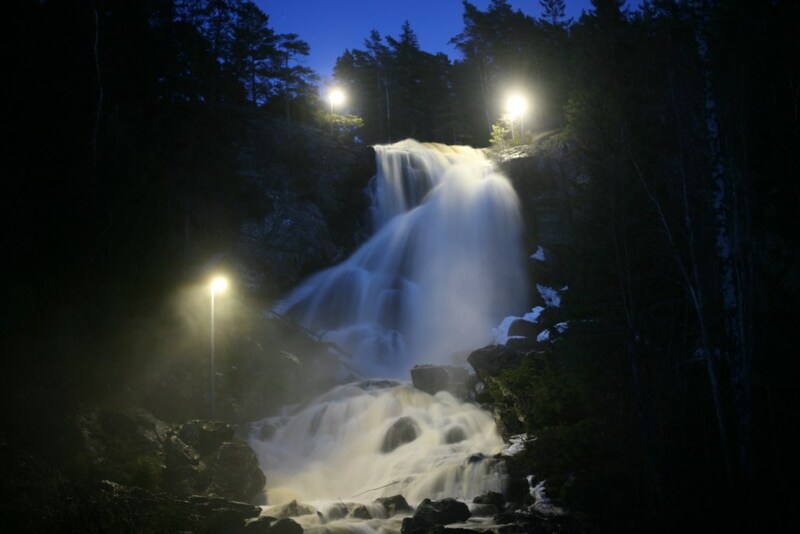 To set the waterfall ELGÅFOSSEN in the right light and in order to provide more safety in the dark, the waterfall was set in scene with photinus solar lights. A fairy-tale picture, amazing all the visitors! This special project was carried out in cooperation with the photinus sales partner Naturgarden AS. More details and photos on NEWS.